Another wander around the village. Most of yesterday's snow had more or less gone by lunch time . As you can see we have had much more! It had stopped briefly when I went out, but its snowing again & still below zero. Because My journey to work involves three hills & there were reported problems on them all, I have had to take a "snow day" today, just can't get in! Many thanks for yesterday’s comments, favs, pp & tp, so much appreciated! What a perfect Christmas card scene though not so perfect to contend with on a daily basis I'm sure! You in your new wellies? lovely Carole. our village has a steepish hill/road both sides. we very easy we get cut off ..
Lovely shot and it looks like an interesting old church. This church looks beautiful in the snow. Enjoy your snow day inside where it is warm. Looks lovely in the snow. I'm not sure how long it will last now the sun is shining, Enjoy your snow day, back to work tomorrow I think! It looks so beautiful , not much snow here but it keeps on snowing off and on ! Such a lovely scene Carole. We are getting intermittent snow flurries. Looks so picturesque but I remember driving in snow and don't miss it at all. Glad you had a day at home and didn't have to venture too far in the bad weather. 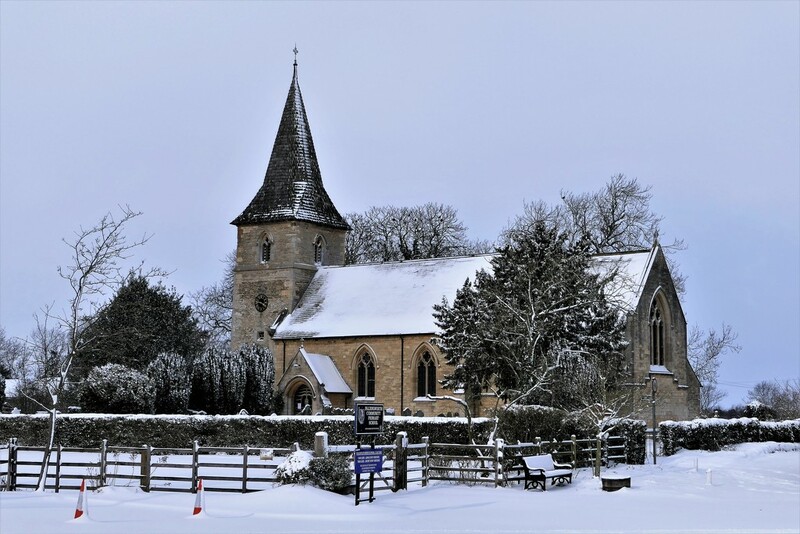 Lovely church- it looks so pretty all snow-covered like that. Nice shot! So pretty and picturesque! Fav. Delightful photograph. We have a Snow Day here today - school closed and hubby has been struggling with the trains. No meetings today, so everyone at home! The perfect winter scene, perfectly captured. Fav. This is a very pretty scene.